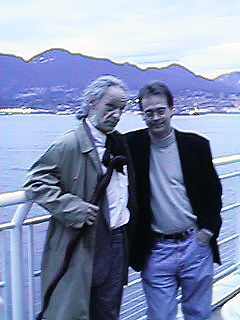 Wandering pilgrim friend Richard Ziff and partner Helene Bisnaire were there with Of the Earth. They are making a line for kids, women, men and some packs and have turned into one of Canada’s biggest hemp concerns. 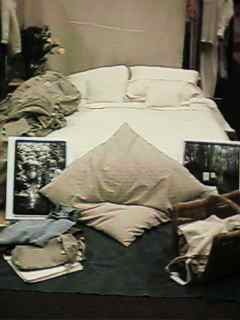 Also had a big fatty futon stuffed with organic cotton. Richard was involved in studying about natural foods which led into organic foods which led to cotton and into combining that with hemp. Hemp Pedaler is three guys from Issaquah, WA who are making some super tenacious bike lube for chains, bearings and cables. Now your chain won’t spray petroleum oil onto the dirt. Works good and and doesn’t gunk up. Bikes are a miracle of invention and worthy of highest praise. These enterprising folks are also making Resin Surf Wax that is hemp oil mixed with bees wax and is super sticky. We’ll be filming these guys making the stuff and doing some intense BMXing and mountain biking soon. Ohio Hempery had a nice display of traditional midwestern hemp handicrafts, bed sheets, dresses and other icons from an earlier year. Also a great new catalog and prints of old photos of hemp farmers. Ohio hempery is one of the original hemp vendors and carry a distinctive, rural American flavor. The boss-man, Don, is quite a character and we’ll make it out there to Ohio one of these months to see his homestead and check out some wild stands of hemp. 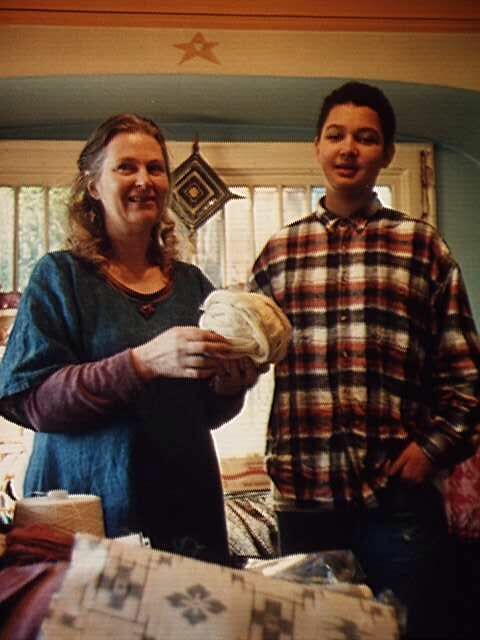 Kitsalano Hemp Co. had a vast array of handmade hemp food in a variety of incarnations. Chickpea / hempseed hummus, bread, roasted seeds, butter, brownies (no, not those brownies) and tons of tasty stuff. Also had a exercise bike hooked up to a blender to make hemp smoothies. Zima Foods Eric and Alice, who we met in Victoria, wandered the crowd with trays of seeds snacks and new crispy carob bar. Real good idea and they kept me fortified with good vibes and healthy grinds throughout the day. Two women were spinning and weaving on traditional loom and spinning wheel. I didn’t get a chance to chat but it looked neat to show the crafts that live on. Another super cool thing I saw that wasn’t hemp. Wiseman Noble were selling ball point pens made shells from vegetable cellulose, corn, i think. That shows some potential about what carbohydrates can do. Special regards to the exhibitors who journeyed from Germany, Poland and Taiwan to set up booths of fine new textiles that show the versatility of hemp. The next day we filmed from the mountains, bridges and parks of Vancouver, a city that is emerging as a world leader in trade and culture. If the energy is right, it will continue to be a Capital in the Hempen World. The Commercial Industrial Hemp Symposium was promoted by Wiseman Noble sales and marketing, and their experience at this sort of work showed. They had a delicate balance to maintain and did that very well. The Hempen Road was contracted to be the official, exclusive filmakers for the symposium which was a great chance for them and us. The event was a mix of science, commerce, industry, agriculture, policy and controversy. Basically two parts to this event, the trade show and lecture series. The main disadvantage was, it is difficult to be two places at once (though I often imagine I am). 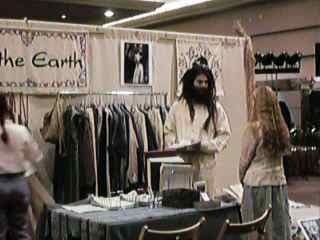 Most hemp business people were in the trade show tending to their business and weren’t able to see the lectures. Wiseman Noble took care of this by having transcripts available minutes after the final speaker as well as a RealAudio cyber-cast of the whole event. 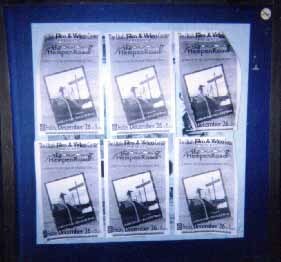 The video footage we shot may be available at some point from Wiseman Noble but visually, it’s not very interesting. Information wise, it’s great but maybe a bit like watching church on TV, the spirit just ain’t as strong. 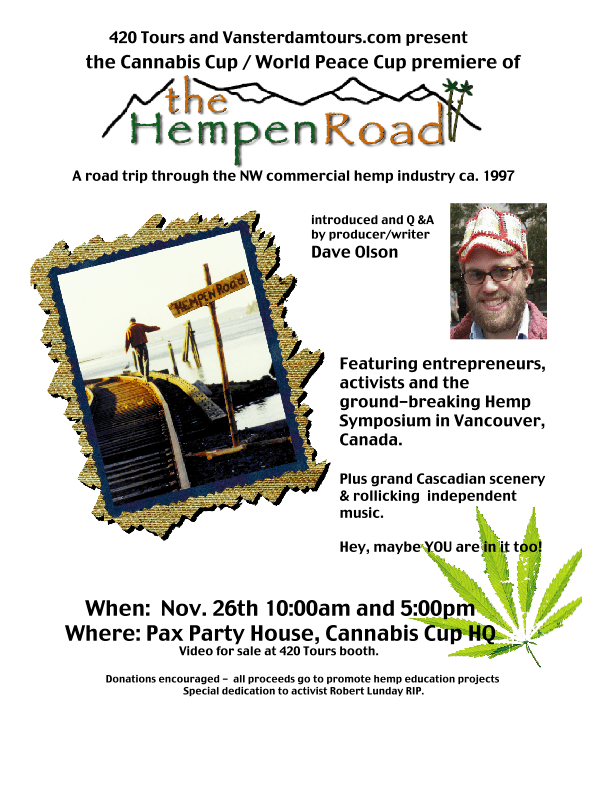 We’ll be using plenty tasty bits from the lectures and discussions in the Vancouver segment of the Hempen Road film so look out for that. Certainly some landmark speeches with researchers from around the world sharing their findings. Wiseman Noble did a great job of finding people coming from all sorts of industries and involvements and views on hemp. 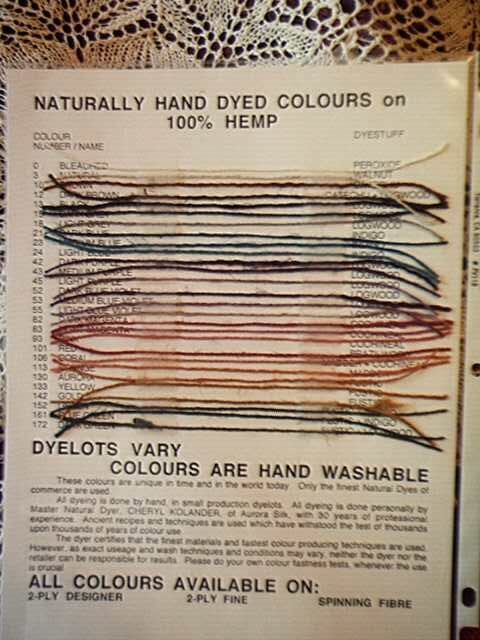 Especially noteworthy was the reports by the Canadian hemp farmers who were sharing their firsthand, dirty knuckle research findings with the world. Also speakers from Germany, Finland and UK who are growing hempen crops as well. It’s starting to seem that more countries than not are hopping on this hemp rocketship to sustainble industry. allowing people to have their say but sheltering the speakers from time to time. Yeah, there is still a lot of different opinions and a lot of folks want to organize and regulate and register and create frameworks etc. I’m somewhat leery of groups as organizations seem to spend more time of organizing and maintaining the business of the group itself, and often the real work takes a back seat. Direct action speaks louder than words. Another highlight was meeting the newly-elected Mayor of Grand Forks, BC and hemp farmer Brian Taylor. Here is a guy that stood up for his values and planted HEMP NOW or something on the side of the highway after being messed around about a government sanctioned license. He was arrested but challenged the case saying no 12 people in his community of underemployed former tobacco farmers and Russian hempfarmers would convict him for growing fiber. Soon thereafter, Mr Taylor was elected mayor by a margin of 3:1 over a two decade incumbent. The town is encouraging hemp business and industry and is poised to launch into the legends of hemp farming and global change. The trade show was packed full of goodies and folks. A lot of friends we’ve made along the Hempen Road were in attendance, showing their wares and having a good time. We showed off a clip of our Victoria Journey turning our subjects into instant celebrities, mobbed by fans. Well not quite, but we had a chance to show what it is that we are trying to pull off with our film. 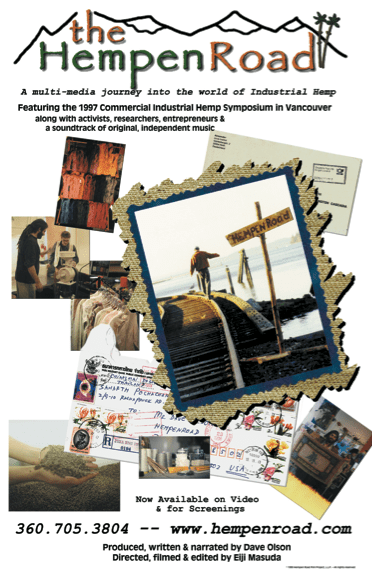 The Hempen Road film/video is about showing the processes to take hemp from raw material to consumer. Including envisioning, developing, making, producing, distributing, marketing, retailing and using. It is also about the people who are doing this and the places where they are doing it and how those areas would change with hemp as a possible crop. Making this film, we see a lot of wild new ideas and products. Clothes still seem to be the backbone of the industry which is a bit intense because it is the most labor intensive process you can put hemp through. The results are certainly worth it but there are dozens of steps to the process and hundreds of competitors in relating industries. Fortunately most people in the world wear clothes so a vast potential market remains. The multiple tasks of production and textile shipping distances make hemp clothes still quite spendy (especially for me who shops 2nd hand) but if it will last forever, the cash is surely well spent. 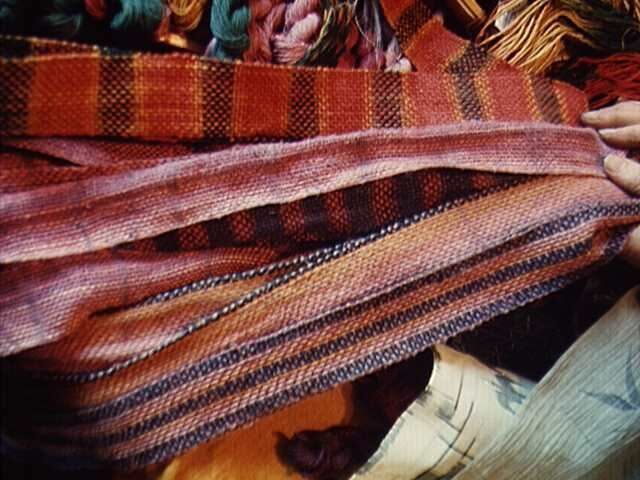 The problem with some hemp and hemp/blend clothing and bags is the often mediocre quality of sewing and finishing. Sure the hemp cloth is strong, but the thread and sewing won’t hold up to a season of raging hard on the road. This make the sturdy hemp cloth into very nice patches and rags. Perhaps the price points to compete are so tight that corners are cut in sewing and hardware that are a bit sketchy. This consistent quality will come in time and the makers who quickly implement standards of durability that are as tough as the hemp, will carry on. Backpacks and bags especially have to compete head to head with cordura nylon and national, experienced pack makers for market. If a synthetic bag stays out of the landfill longer, is it better? A well made hemp bag will last as long and perform as well as any pack but the garment has gotta be constructed tough, not just tough cloth. Lifetime guarantee is the only option worthy of hemp. Well if your pack does blow out, grind it up and make it into paper like Mosse Mellish and Mark Bologna of Greenman Paper. These guys had a whole paper making process set up and going indoors at Canada Place. This was too cool. 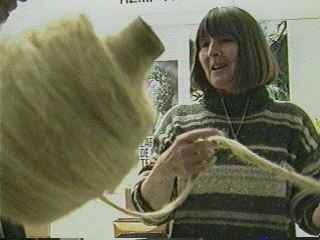 We filmed Mosse taking raw hemp fiber, hemp paper scraps and whatever else of hemp that was laying around, pulp it, lay it, dry it, decorate it, finish it and sell it in a 10’X10″ space. He is doing it with a mix of old-school technology and efficient process, using a set-up that would make (Canadian legend) MacGyver jealous. Greenman is the original Canadian hemp paper maker and is turning out nice notebooks, journals, cards, stationary etc. Mosse is a laugh riot too, like Mr. Rogers after enlightenment. I’ve been reading Mark Bologna’s words and works in Cannabis Canada for a while and this guy gets a lot done. Now if you can make 100% hemp paper in a 10 foot square space using a bunch of hardware store odds and ends, what’s stopping hemp from become large scale? I talked with Mari Kane editor /publisher of Hemp World about this and other topics as we strolled outside in a bit of sunshine. In order to get from here to the next level of hemp as a normal part of everyday consumerism, the answer to be: money for capital and real substantial infastructure investment. To ship a container of seeds across the ocean or refit a mill takes dollars. So does using the mainstream media to support and publicize hemp as a regular choice, not just a poor misunderstood cousin or a novelty. The thinking of people is starting to change fast, as the US saw in Nov. with medical Marijuana initiatives passing in two states, but dollars are neccessary to bring the products to every market niche. 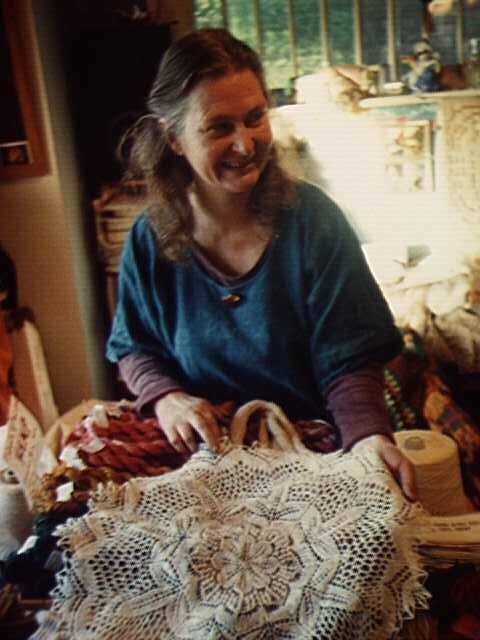 Mari was a photographer and designer in San Francisco when she got into hemp scene. Her first idea was to make a video. Ms. Kane wisely chose to make a magazine instead. Hemp World is a quarterly magazine printed with a hemp cover (from CIHS sponsor Ecosource who we visited in Victoria). HempWorld is really a trade journal with great articles to educate on the tricky points of business start-up, new product development and technical info on processing hemp to marketable product. Another key point to Mari’s publishing endeavor is Hemp Pages which is like a yellow (actually beige) pages directory of hemp business worldwide. Hemp business people love this and use it as it is much easier then checking all you pockets for that phone number written on the back of a receipt or something. In three years, Mari has watched the industry grow something like 6 fold and has no signs of slowing down at all. The question isn’t if it will happen or even when. The question is which country is going to take the lead and show the potential of large-scale hemp industry. Canada is poised if the sluggish government can figure the self-imposed paperwork maze out. Stanley Park in the background, floating seaplane gas stations, flags, skyscrapers, buildings and trees. On to the Trade Show Floor. . . So, on we go to Eugene. You know, I used to live in Eugene when I was a just a ‘lil hempster. Pa earned Doctorate of Leisure and Recreation from University of Oregon. Maybe this gives a good representation of the town. Re-creation. Actually it is no longer a town. It is a full on city. I passed through this summer looking for Hemp at the Oregon Country Fair and saw a lot of people. Throngs actually. Yeah, it seems the world is learning about this legendary mecca of counter-culture heroes & icons. Thegood ol’ Grateful Dead played legendary shows around Eugene, including some of the last real camping shows. Those shows were like homecomings for the band as they played to heaps of friends and cronies. Surely with Eugene’s reputation of being a think-tank for alternative action, hemp must be going on in some neat way. So off we go to find out. We pull west from Oly, head to the coast where we’ll head south and cross the delta of the mighty Columbia River. Driving out from Oly about 45 minutes, we make our first stop. Satsop nuclear plant. I don’t know much about this place and no one else seems to either. It seems back in the nuclear rah-rah days, it went up and no one even knows what its doing. Power, I suppose but that doesn’t tell us much. We make our way into position for a shot. I feel like Homer Simpson driving to the reactor looking like a mix of Frankenstein’s castle and a futuristic mailbox. Which really frightens people more, hemp plants or nuclear plants? Turns out its dormant, the fed spent millions upon dollars to build it then it was never finished which can’t be totally bad news but I really believe the money could’ve spent more wisely. In front of the plant is the sign designating a Wetlands Preserve. Odd choice, but it fills a Washington DC statistic. Suspiciously, empty of wildlife but then again, it is winter. The view is crisp and message clear. At the banks of the Columbia is a statue showing the point where Lewis and Clark arrived at the Pacific, halting their monumental trek across a rough stretch of continent. Sent by Thomas Jefferson to discover and explore, they set out to find what was out there, anywhere. The chances for an adventure like that now are slim to none – New continents are hard to find. They walked across a vibrant continent that had taken care of itself for a few millennia and it only took the USA only a century and a half to have national chain stores, malls, toxins, dumps and asphalt to every corner. A small church stands alongside and then a wild bridge that skims above the mass of water energy at the moment of place where the movement of river becomes infinity of ocean. and on into the world . . . The stretch along the Pacific Northwest coast is surely one of the richest experiences you can have from inside a rolling steel box. I’d rather walk this stretch of coast, but that will wait. For now, I breathe it in as the road twists and turns into vistas and beaches. Darkness comes, it’s rainy now and the curves aren’t so much fun. Everyone sleeps, I drive. We arrive at Honeyman State Park outside of Florence late and worn. The key to our Yurt is waiting for us. 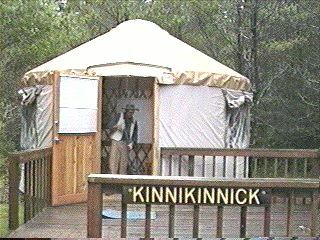 I made a reservation, for a Yurt. That’s how things are done now. Reservations, credit cards and tour packages for nature. Admission and fees. Concrete and double-wides. John Muir , Ed Abbey, Where are you? The Yurts are a brilliant idea the Oregon State parks are implementing to make your camping experience more like home maybe. The Yurt itself is great. We feast late night meal on the Coleman stove and sack out in our hut. Now a Yurt isn’t a hut and its not a tent maybe its a Year-round Universal Recreation Tent. Laminated wood lattice frame connecting to roof beams coming out like twisted sunshine as it tensions a middle ring. On top of the ring is a Plexiglass dome that opens for ventilation. The lattice frame is covered with a treated poly/cotton cloth with a nylon or polyurethane covering on the roof. While it’s probably well-wearing, the same thing could be easily done with less treatments and production steps with sturdy hemp canvas. The origins of the Yurt is mostly Mongolian who made these in a cruder form, covering wooden poles with animal skins. I think a sturdy hemp weave would work great and be a fine way to provide low cost living, thinking and working space. A sturdy door, few storm windows and a little electric heater finish it off. Minimalist beauty. Bunkbed and futon bed. Sleep well. Up and out to Eugene in the morning. First off make our way to Hungry Bear Hemp foods where Hungry Bear himself Todd Dalotto is waiting for us. Todd has been a supporter of our journey since the start and I was sure anxious to check out his operation down in the historic Blair St. neighborhood. The office space is turning into a hemp co-op space it seems. Todd is making his Hungry Bear Seedy Sweeties Snacks, as well as flour and butter here in his kitchen/lab. His colleague, Jerry is making Merry Hempsters body care products (lip balm, salve and ointments). The oil comes via their partner Erich who is sourcing and working on projects in Mongolia and Peru. In Peru the seeds are batch pressed removing only the finest of the abundant oil of the seed. The seed is left in good condition and since it is no longer viable, the seeds clear the feds without the sterilization ritual. The seeds are then ground into fine, nutritous flour. Some seeds are crushed and used to coat the molasses and grain snack bars. Also Todd’s goal of hemp butter is now coming together. A savory and versatile butter that is sure to surprise a lot of people who don’t know this aspect of hemp. 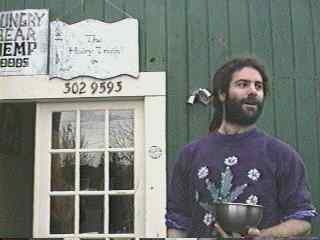 Todd first envisioned making hemp butter while volunteering for Food Not Bombs where he tested his prototypes at weekly large free meals gatherings. The Merry Hempsters products use the same vital oil form Chile and combine the rich oil with wildcrafted herbs and essential oils to make the truly kind ointment and salve. Both are already standard in my travel first aid kit. Great for about any skin woe from surf coral cuts to achy knees to burnt out lips. The oil producing operation is overseen by Erich who has been experimenting with organic crop research for years. Mainly with Quinoa and flax though his knowledge of any fiber crop is quick and thorough. He told stories of travelling and exploring some far off corners on his own hempen road. He works with the Chilean hemp farmers to encourage organic crop growing and ensuring quality hemp plants for the best oil seeds. The situation is sketchy but primarily due to lack of awareness and difficulty marketing hemp without a foreign connection. Erich is helping farmers maintain a valuable resource in their rotation by providing a market and knowledge. He does worry about the work ethic of the average American who has lost touch with a hot days, aching back day toiling in the fields. Probably a safe bet but laziness is the mother of invention, isn’t it? In the same space we looked at some clothes made by a local household co-op. They sell around at markets, shops and do custom order of clothes, household accessories and nice pot handle covers that I gotta get. Religious focus and sense of purpose keeps this family spreadin’ their energy through their hemp creations. Now I had never really thought of this, sure there is hemp content shampoo but a hemp oil hair treatment seemed a bit odd. The Hempen Road’s fearless assistant Misa stepped forward to undergo this experiment for crew. What ensued was an hour long, hair treatment and massage that could relax the Egyptian Sphinx. Rose operates “the Hairy Truth” hair salon in the same building as Hungry Bear and has a variety of folks coming in for the hemp oil treatment which leaves hair soft and nourished. Read your shampoo bottle, how many of the ingredients can you pronounce. Misa remained in bliss for several hours and we wisely took a bottle of hemp oil home. The next day I decided to get furiously ill and wallow in sickness all day so I wouldn’t have to go out and have fun anymore. Our intrepid crew carried on with the help of our mystery guest host, Marji. So… I’m guessing now but… I know they went to talk with Carolyn Moran and Harry Bondareff of Living Tree Paper Company. They market a made in USA, hemp content, stationary paper that is as elegant as it is is eco. Mixed with Esparata grass, an annual from Africa, agricultural waste (cotton linters, straw etc.) and post consumer recycled tree paper. They began the paper project to provide a quality eco paper to print their magazine on. The magazine is called “Talking Leaves” and is the publication of the DEEP Ecology group. I know Carolyn has traveled a lot and Harry is a good guy (I met him at Real Goods solar living festival on Summer Solstice in California) so there you have it, we’ll see in the film. Next, they all went ot the famous Eugene Saturday Market which boasts a buffet of handmade arts and crafts. This being last one before Christmas, I’m sure it was hopping. 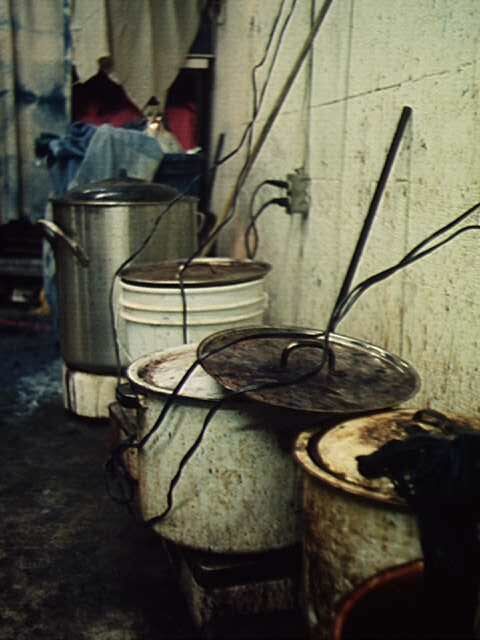 I saw some of this footage and there seems to have been a lot of hemp vendors and even hemp food. I was too busy with my pet virus to have this fun. On to Sow Much Hemp which is a variety shop and project of Bruce and Diedre who are a real sweet couple of folks. 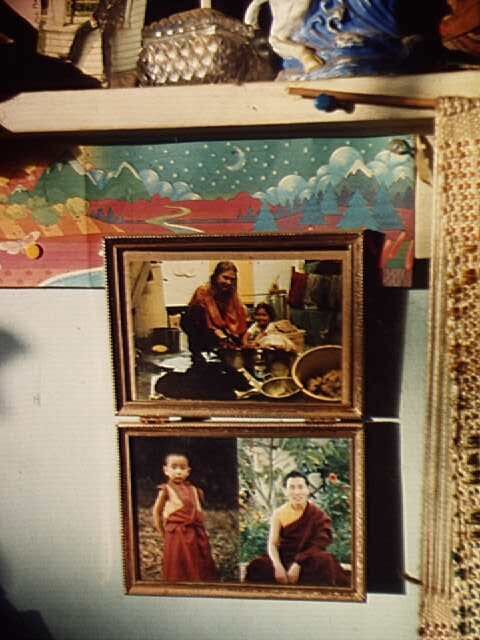 They helped me with some Tibetan healing energy and I looked around the shop the next morning. The best description would be like the modern day hemp equivalent of a old time general store crossed with a remote, traditional artists co-op. Located in a re-worked heritage home, you feel like your going to visit your old Grandpa as you walk up the patio where you want to sit and drink lemonade, but its December so we go inside and drink herb tea. Inside is comfy too, a little of everything in a real international atmosphere. Lots of unique items from far off lands, rugs, tapestries, sarongs, prayer flags, scrolls, handmade books, and assorted religious icons. 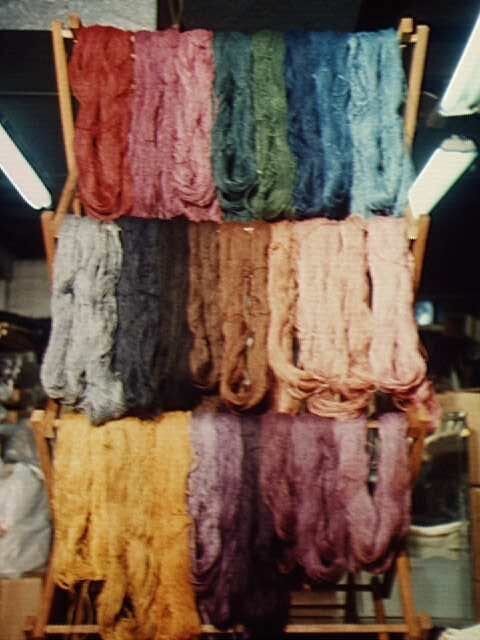 Also a beautiful array of dyed hemp cloths and yarns. (p.s. 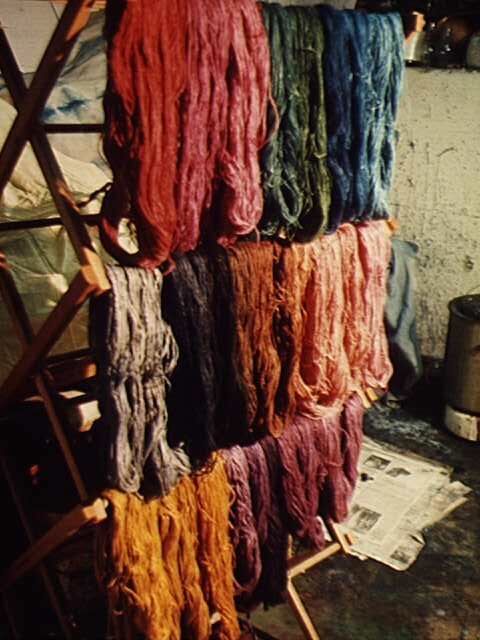 we interview master natural dyer Carolyn Kolander in Portland). The store seems like you’ve been there all weekend after just a half-hour as you check things out and learn the stories in a relaxing think space. Thanks to the patience of my road-mates and the Eugene hempsters, I was semi-alive the next day and we headed north. We’ll be back in Oregon soon to see who’s doing what in Portland. For now we pull out of the fertile Willamette Valley watching the empty farmland flash by in shooting green patches. Another drizzly morning and we head up to Seattle. There’s plenty to see there as Seattle has kind of become the hemp-metropolis of America. A big-league city with an awkward mix of high-tech, red-neck, enviro-activism, loud guitars, gearhead REI yuppies and an international dose of everything else. First off, we find the Beemis building on the shady side of the Kingdome. Apparently this classic building used to be a paper bag factory and it now houses artist and professional loft/suites. There is a neat Vespa out front and a intimidating freight elevator inside. We head up stairs to visit Earth Goods. Earth Goods is the international business run by two guys named Dave or David which isn’t surprising as I’ve been meeting a lot of guys named Dave recently. 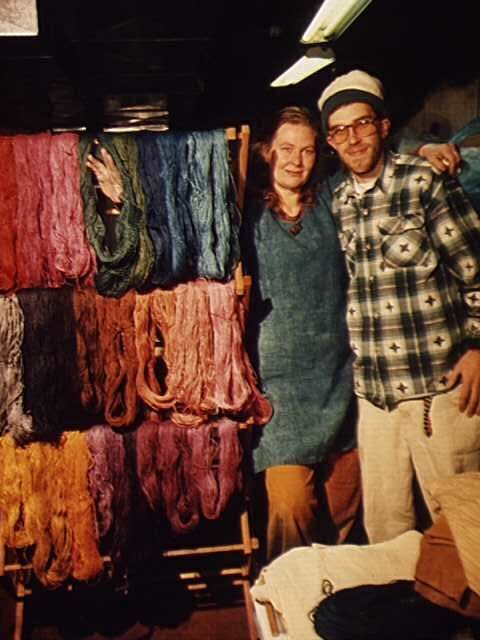 The focus of Earth Goods is to make contemporary high-end fashions from naturally dyed hemp. No use dumping chemicals on a piece of organic cloth they figure. The selection of garments for women and men are made and dyed in Thailand, overseen by another guy named Dave. The idea however, was conceived while were living between Boulder and then Japan where they heightened their sense of aesthetic and marketing. 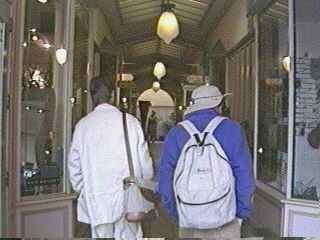 The duo had just returned from European travels, styling in Venice where they showed off their fancy threads on the same runway that Giorgio Armani was pushing his own hemp designs. While they have been working hard to reach the public, they welcome the competition and figure any expansion of natural standards is to the net benefit to the Earth and the vitality of the industry. Things are really starting to move for this sharp company as they create a solid niche with their hemp/silk, softened hemp, and hemp/cotton fancy/casual clothing line. They make especially nice vests. Enjoyed talking about Japan and learning natural dye names in Thai, spent a nice morning in the Beemis building. Unique view, a sort of backdoor look of the city from giant windows. High ceilings, so high that a guy from the Sonics lives right up stairs. So we head across to the University district to check out Rob Jungman and his new Manastash store. Rob started with an idea for a small wallet that you wouldn’t loose even after a rough day on the beach and rougher night on the town. After a roadtrip brainstorm, the “Chenga” became. After a few batches of those, Rob made up some bigger packs, accessories and gear. All designed for action sports and having fun. After spreading his line around the US, Rob took the show to Japan where he is hooking up all the hempster gearheads over there. This is particularly interesting to me as I research the history of cannabis culture in Japan. 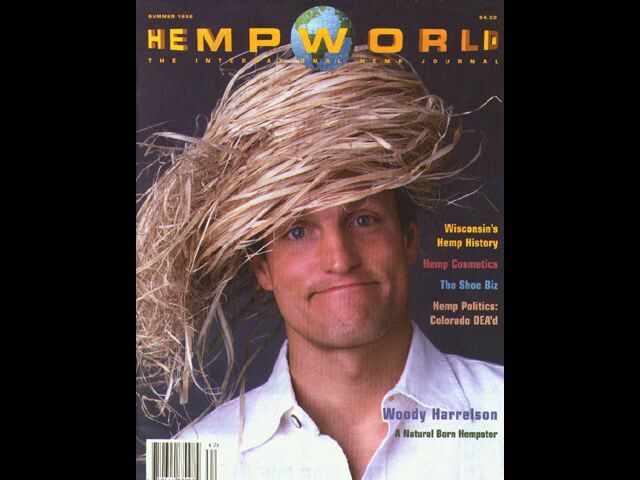 The possibilities of selling hemp in that massive consumer market is head-spinnin and Rob has got the goods to do it. Rob headed out on Hemp Tour all summer. Traveling the land with a couple vans to concerts, mountain bikes races, rock climbing comps., festivals and wherever. . . letting athletes and adrenaline junkies test out his gear and put hemp to the test. Instead of taking it easy when he returned, he decided to make a store right on Seattle’s infamous University strip. The store is loaded up with gear from a variety of hemp makers so we had a chance to preview some upcoming hempen road filming stops. Business seems brisk both at the store and with getting the line of Manastash Mountain Products on the rack at outdoor stores. The horizon sees a couple new stores opening in Japan and new products coming out real quick. As for the Manastash products, they are made across town at Panther Sports which Rob operates with his partner Khampy, a textile production designer from Vietnam. They run a nice facility, comfortably employing a rotating staff of about a dozen. As part of a government job training program, the factory helps new immigrants learn a trade, make a fair wage, work in good conditions, improve language skills and gain positive work experience. Most move on to higher paying jobs at bigger factories after they are experienced. This is all part of the process and it certainly looks successful as we laughed and goofed with the sewers who were lucky enough to have hooked up with a great organization. 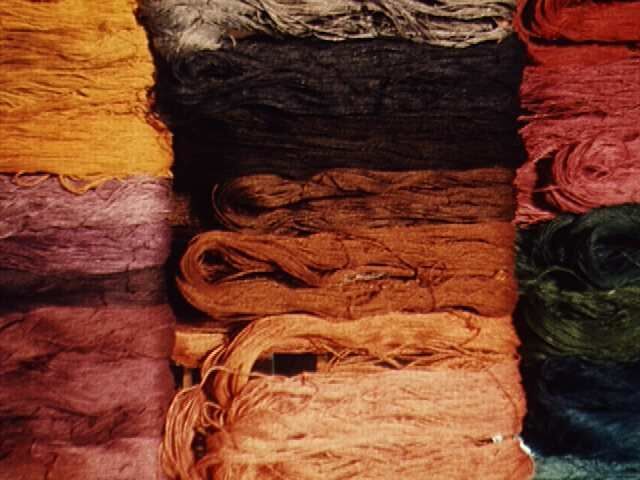 The Manastash products are made with care in a local, international community atmosphere , a real working model of positive production and what is a great alternative to synthetics made in deplorable sweat shops both here and abroad. By the way, Manastash is the Yakima tribe’s name for a mountain range in eastern Washington which translates to New Beginnings. Dale the Weaver helped us out with the segemnt by provided random inspiring comments and hairstyles to urge us along. He is quite a motivator, ol’ Dale, and he is weaving and knitting some nice potholders and Christmas tree ornaments. So after exploring the neighborhoods and eating some interactive Thai food recommended by Christian at Crop Circle clothes who we didn’t get a chance to hook up with cause he was in Las Vegas wooing a client. Right on, I can see Wayne Newton in a hemp tux. Christian seems to have the marketing and promotion game down and I hope to check out his products down the road. That evening we were hosted again by the Dave duo at the Beemis Building. A exclusive gathering of hempsters, business people, store owners, buyers and friends sharing Christmas cheer and tasty beer. Upstairs, some new friends put us up for the night in their loft which was decorated with some exceptional acrylic on plywood paintings. The next morning we spent some time filming the curious community of Fremont. You know, it is the center of the Universe. Rocket ships, walking pizza, statue of Lenin, and Fremont Hemp Company. Run and designed by Cory Brown, entering the Fremont Hemp Co. shop is like leaping into a spendy magazine spread. It is exquistely detailed with luxurious items. Body care products, household accessories and dried flowers. It really is something different than Joe Q. Public’s perception. I expect to see Ralph L. and Laura A. models posing in the corner. Not surprisingly, Cory’s background is in retailing and related arts. Everything down to the wrapping paper is done just the way he wants, no compromise. Beauty and functionality are tucked comfortably in together. The building itself was once a Gas Station and the transformation is complete as Fremont built it up from a blank canvas. Spiral staircases go up to a loft and give a view of the courtyard out front. The design is slightly manic and comfy at the same time. A huge Masonic painting and a statue of Vlad offset the elegant yet utilitarian garage facade. A row of large letters along the top, tell you where you are. Fremont center of the hempiverse! If Fremont is center of the Universe, than Belltown is center of Universal Hemp. Universal Hemp is the new enterprise of several experienced hemp industry workers. These are the men and women who have been pulling the weight at other companies in Seattle and have now jumped into making the new Belltown Hempery. It is certainly not a regular hemporium, its more of an outlet for independent artists, crafters and makers to market their gear. There is a wide variety of stuff but its not the same as you’ve seen around. One of the difficult things about trying to build a business is finding a decent, fair outlet to vend your product to start generating operating capital. Consignment generally doesn’t work, wholesaling doesn’t fit for home based, small time operators and winter is a lousy time to be out hustling at arts and crafts fairs. Ask me, I know. I wish I could’ve found an outlet like Belltown about 4 years ago when UncleWeed backpacks and dog collars, hempy sacks etc were being made in a tent and sold on street corners and festivals. While it is a new business, there is plenty of room to expand. Plans for papermaking workshops, soap, candles, dyeing. Basically if it can be done to hemp on a workshop scale, they’ll be doing at one point or another. With space, enthusiasm and a plan, a lot can happen. I tried on a fine hat and a fleece/hemp jacket and we hauled a little rolling sign to Pike Street market to explore the Seattle city center and check out people’s reaction as we walked around with our hemp clothes and mobile billboard. Pike street market must of been brilliant about 50 years ago. It is still super cool, just a whole load of humans and not enough hemp. If you like salmon, get there. We finished off with a few 16mm shots of the harbor and sailboats and actually even with all the concrete, it’s still pretty. Water, trees, mountains, sigh.